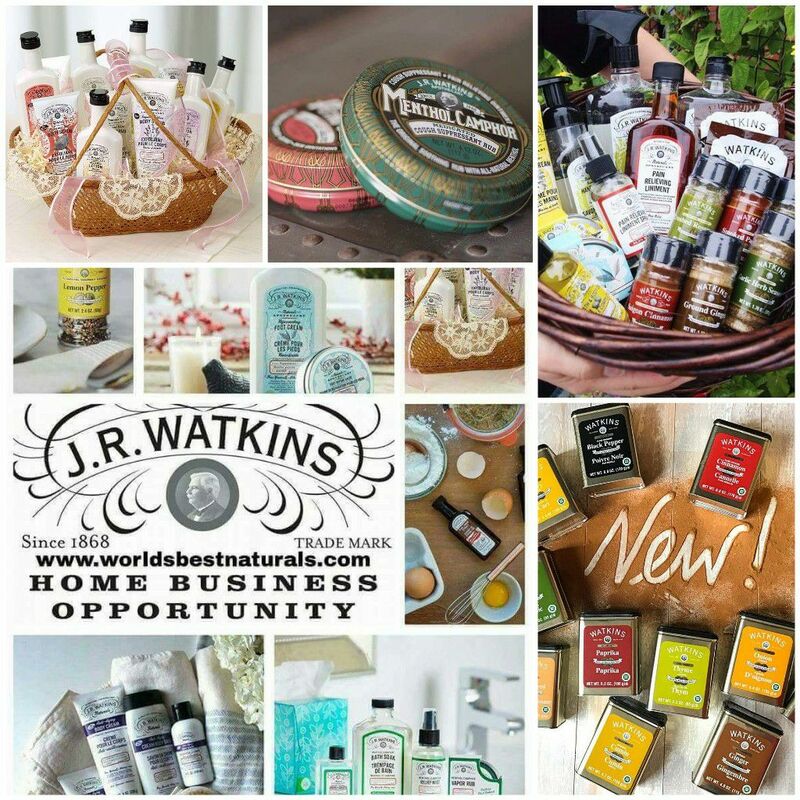 If you have ever been sitting on the fence about joining JR Watkins now is the take to take advantage of our $150 FREE in Watkins Products opportunity. An extra bonus opportunity for those who join this month. Watkins Medicated (or) Menthol Camphor Ointment does not contain turpentine which is not recommended for use on children under 12 and can leave a burning feeling on the skin. Watkins, with no turpentine, is very safe to use on every member of your family – from children to adults. Versatile: Provides relief from bruises, sprains, strained and/or sore muscles. Fast Acting: Relieves symptoms of common cold, stuffy nose and congested chest. Penetrating: Effective on back aches, lumbago, arthritic and/or rheumatic pain. Non-staining petrolatum base: Keeps skin from drying out; won’t stain clothes or bedding. Low-level anesthetic action: Depresses pain perception, suppresses coughs. Economical: Costs less per ounce than similar, brand name products. 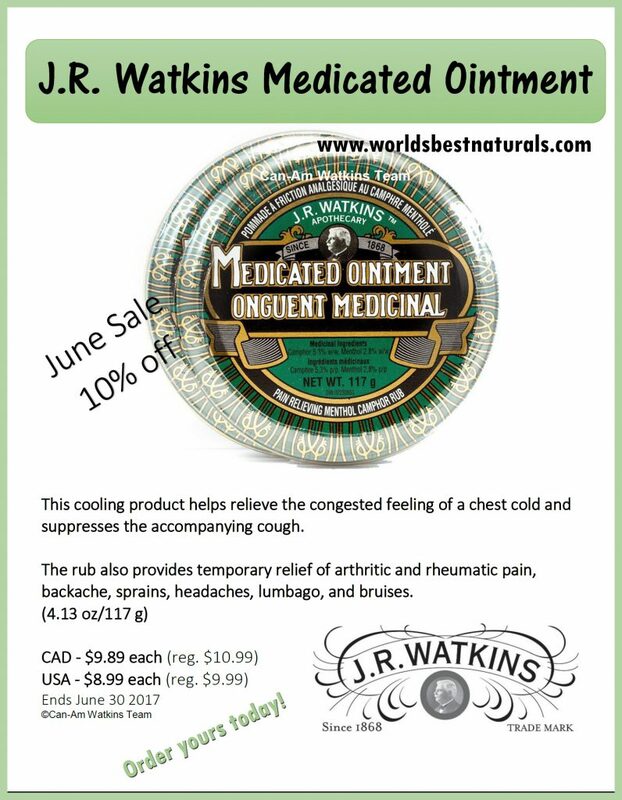 Pleasant, cooling aroma: Penetrates and relieves congested nasal and bronchial passages. If you experience chronic headaches, try this: Before going to bed, rub Watkins Medicated Ointment/Menthol Camphor Ointment onto your feet (yes, feet!). Put on a pair of cotton socks over the ointment. According to Naturopaths and many testimonials, this may help to ward off headaches. Why Should You Start a Watkins Business? Are you considering a JR Watkins Home Business? You may not know that Watkins has been providing quality natural products for 150 years, since 1868. Through the years our product line has grown and evolved to meet the needs of families across North America. 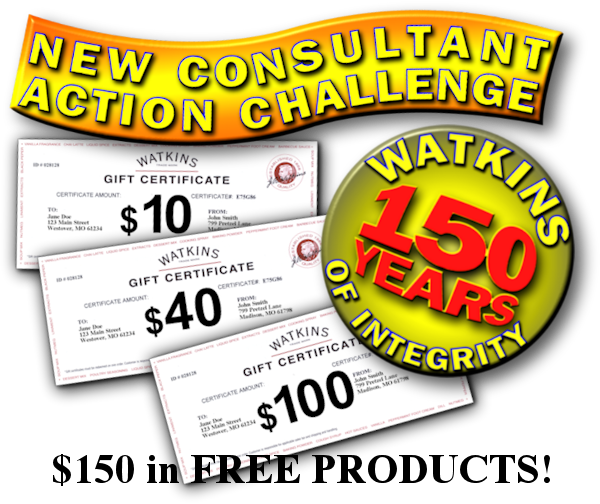 Watkins is a respected and trusted company with a solid home–based business opportunity. It is not a get rich quick plan. You won’t earn thousands of dollars the first month. You are rewarded based on your efforts and your ability to follow a proven system with support, training, and coaching. You choose the business methods that will work best for you. Watkins offers consumable natural products that people use everyday. Natural plant-based home care and cleaning products that are free of chemicals and safe for you, your family, and the environment. You will love using the products yourself. As you use the products and find your favorites you develop your own testimonials and stories. The more you know about the products and their uses the better you can meet the needs and answer the questions of your customers. At the same time the products are improving your life and you are adding to your income. Watkins stands behind every product. The company is so sure you and your customers will love the quality of their products that they offer a 100% satisfaction guarantee, just as J. R. Watkins did 150 years ago. After joining for just $29.95 (plus tax) you control your business. Your Watkins Membership gives you a discount based on the size of your order plus access to monthly specials and consultant only sales. As your business grows and you reach higher achievement levels, Watkins rewards you with cash bonuses and Performance Rewards Luxury Vacation. You choose additional optional marketing materials based on your business strategy. There are no hidden costs, commitments, quotas, or minimums to remain a Watkins Associate. The only additional cost is the the annual membership renewal fee of $29.95. Watkins offers catalogs, monthly specials fliers, and other business materials but you as an Consultant decide whether or not to buy and use these materials. Consultants are not required to maintain an inventory. Consultants may purchase optional product assortments. You choose how you want to run your business and market the products without any quota’s or auto shipments. Our Leaders provide a free training website, a free recruiting website, and a free e-commerce website for all members and you will be a member if you join with me as your sponsor. Our training website also provides monthly training webinars, free printable business tools, an information Facebook page, and a weekly emailed newsletter. Your success with Watkins depends mainly on your efforts to promote the products and the business. We provide suggestions and you decide what strategies will work for you. I’ve found that a combination of methods works best for me. As a member of our Watkins team I am always available to answer questions by email or phone and I answer your questions promptly. If you want to start your own Watkins Business, sell products and/or build a team Join Us Today! When you join Watkins you join a team of helpful people who love the products, sell them, and believe in them. You can sell however much you want, and buy as much as you want at a discount. When you join our team, you get many benefits and tons of support! 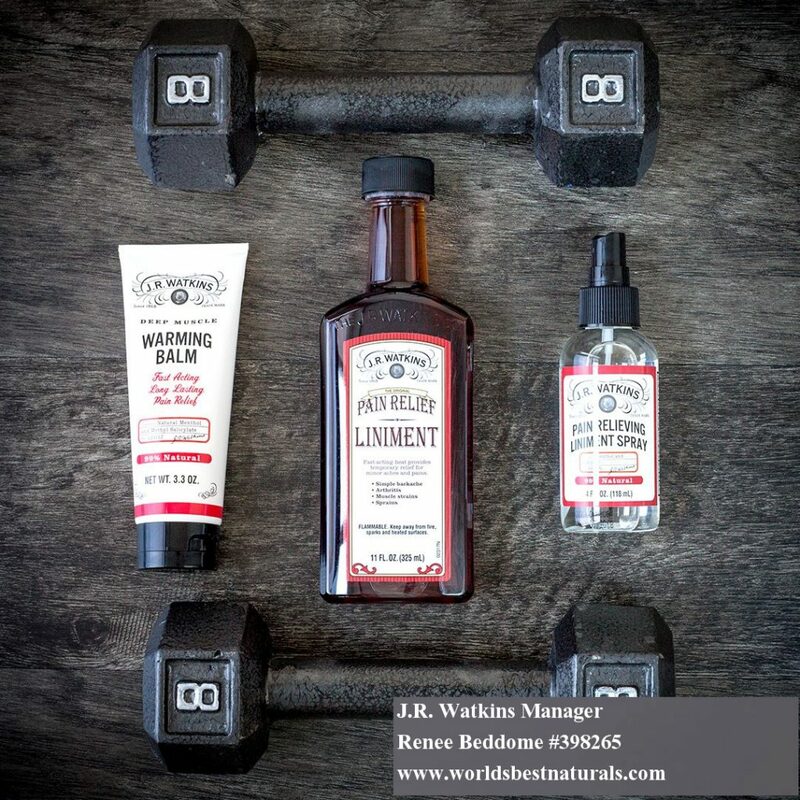 J.R. Watkins Pain Relief Liniment, Pain Relieving Liniment Spray and Deep Muscle Warming Balm. Your muscles will thank you. 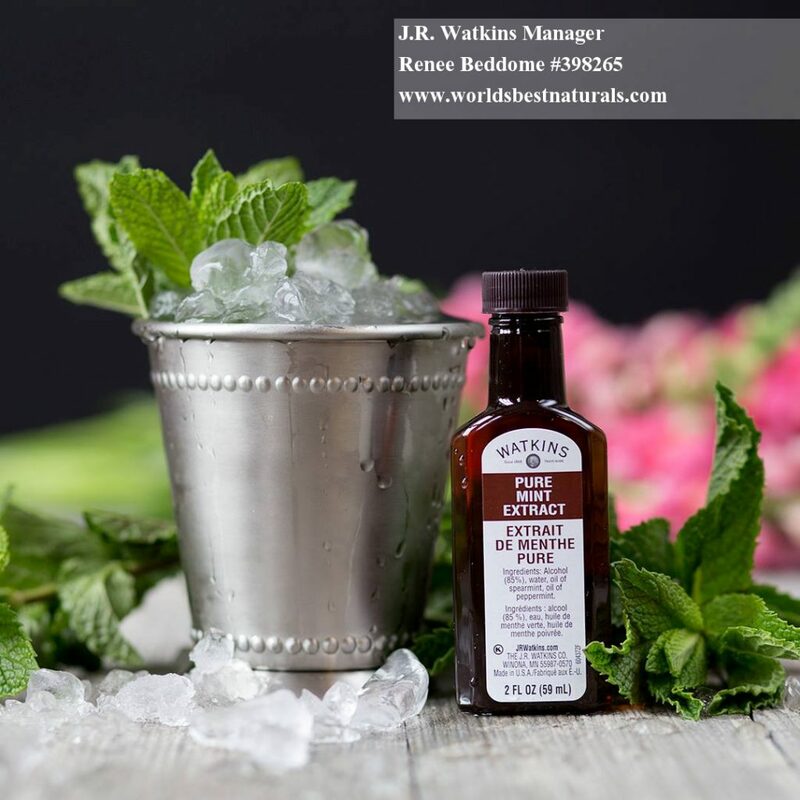 JR Watkins Mint Extract is fantastic in drinks! Break out the fancy hat and get ready for the most exciting 2 minutes in sports! For a traditional Kentucky Derby celebration, mint julep’s are a must-have on the menu! JR Watkins extracts come in many different flavors making a great choice to any beverage without all the added sugar. 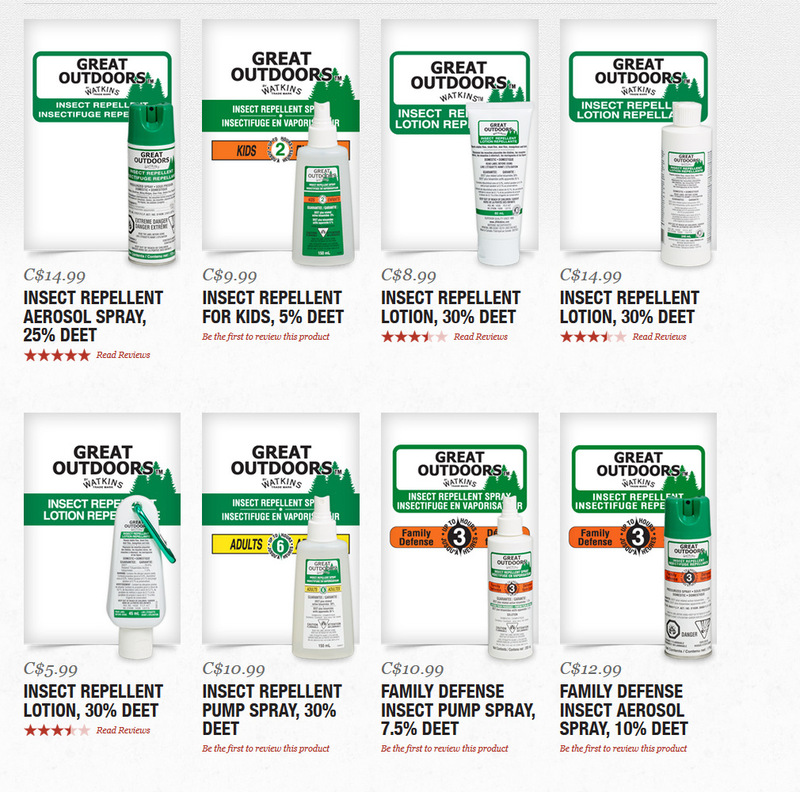 JR Watkins Insect Repellent – Don’t let the pesky mosquitoes bother you! 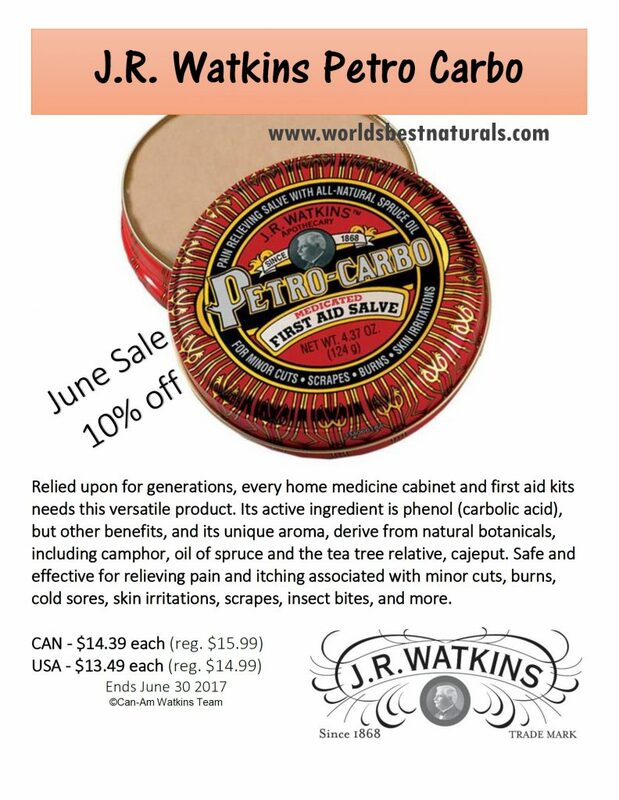 Watkins Great Outdoors Insect Repellents, with doctor-recommended DEET (30%), provide proven safe protection against Lyme disease-carrying ticks, encephalitis-carrying mosquitoes, biting flies and other pests. Repels mosquitoes, black flies, biting midges, deer flies, stable flies, ticks and chiggers. 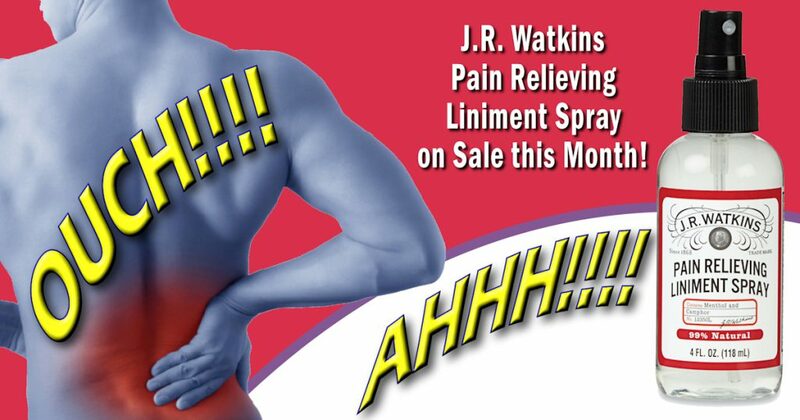 JR Watkins Pain Spray is on sale! Get quick relief from sore muscles, aches and arthritis pain with this convenient, fast-acting spray. The Watkins natural pain relieving properties of our Liniment are blended with the penetrating vapors of our Menthol Camphor Relief Mist to offer you quick relief when you need it. Sore muscles, aches and arthritis pain have met their match! 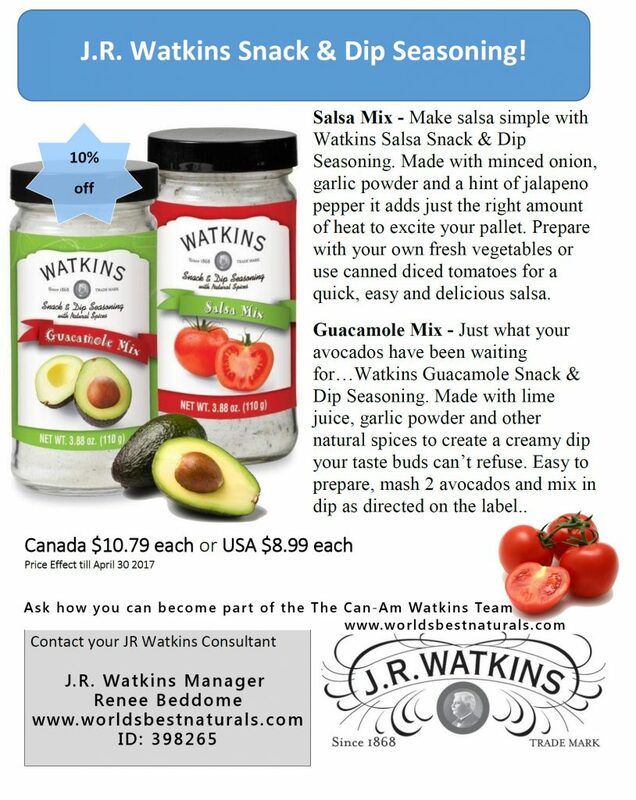 Salsa Mix – Make salsa simple with Watkins Salsa Snack & Dip Seasoning. Made with minced onion, garlic powder and a hint of jalapeno pepper it adds just the right amount of heat to excite your pallet. Prepare with your own fresh vegetables or use canned diced tomatoes for a quick, easy and delicious salsa. Fantastic opportunity for stay at home moms or dads who want to make income selling/advertising day to day consumable products. Become part of the Watkins Team. ♦Earn Commission, Trips, and Rewards! Free Website! No Monthly Quota! Money Back Guarantee! ♦Almost 150 Years of Heritage! Take the Online Tour and see what Watkins can offer you!